Waiting on Wednesday is a weekly meme hosted by Breaking the Spine. Each week gives you the opportunity to spotlight an up-and-coming release you can't wait to read. It is 1814 and the British have taken hold of Mackinac Island and its fort, forcing American residents to swear an oath of loyalty to the British crown in order to retain their land. Pierre Durant is a voyageur--a fur trader who left his family home to find freedom and adventure. He's been gone five years and when he returns, his family's farm is at the mercy of the British invaders. 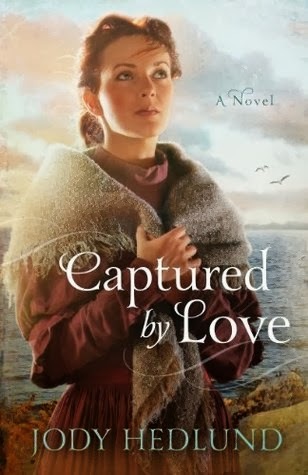 Torn between the life he's grown used to and guilt over leaving his brother and mother, he's drawn back into the loyalist fight against the British--and into a relationship with Angelique Labelle, a beautiful local girl who's been befriended by the daughter of the British commander. As tensions mount and the threat of violence increases, both Angelique and Pierre must decide where their loyalties rest, how far they will go to find freedom, and how much they will risk to find love. Jody Hedlund has become one of my favorite authors in this past year. The attention to detail and her ability to create characters that tug at you heart is fantastic. I can't wait to read her latest story! I can't wait either! So excited for this book!